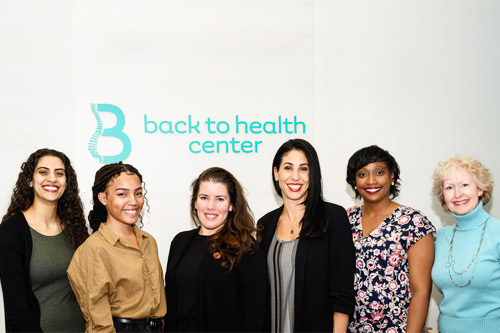 In practice since 2004, Dr. Shara Posner founded Back to Health Center to support the health of families and individuals in the Alexandria area. 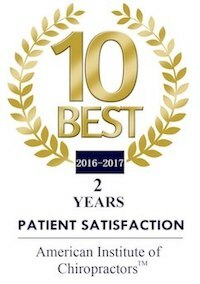 She is joined in practice by Dr. Shawnté Hudgins and our caring, supportive team that will put you at ease from the moment you walk into our warm environment. We want to keep you active and able to do the things you love for years to come! Back to Health Center is far from the clinical, cold atmosphere you may have experienced at other offices. It’s comfortable and relaxing, and we’ll treat you like we’d want our own family members treated. At our chiropractic care center, all ages are welcome to experience our excellent health care. Being a family care office means that we take care of everyone, from newborn babies to senior citizens. Our range of services includes chiropractic, massage therapy, acupuncture, cold laser therapy, and Kinesio® Taping to help you reach your health goals. Whether you’re having problems with back or neck pain or simply want to feel incredible, we can help you improve your overall health. With our whole person approach, we’ll assist you in discovering the highest levels of wellness! Give us a call to schedule your appointment. We offer convenient visits that fit into your busy schedule!